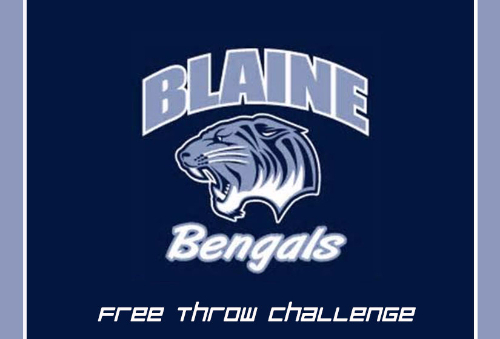 The Blaine Bengals will host its team wide Free Throw Challenge the week of Oct 30th! During the event every athlete will shoot 50 free throws. We are looking for sponsors for every MADE free throw. You can PLEDGE anything from .25 cents to 10 dollars per basket made or make a one-time DONATION. 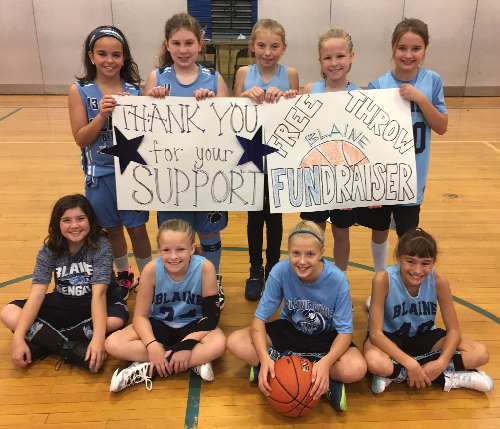 The Blaine Bengals will host its team wide Free Throw Challenge the week of Oct 30th! During the event every athlete will shoot 50 free throws. We are looking for sponsors for every MADE free throw. You can PLEDGE anything from .25 cents to 10 dollars per basket made or make a one-time DONATION. 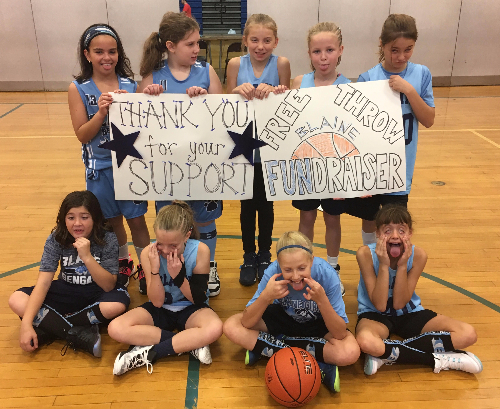 Please help us reach our goal! Good Luck Mara and have tons of fun!!! Good luck Vanessa! You'll do great! So proud of you Rosie, can't wait to watch you and your team this winter! Go get ‘em Anna! We are so proud of you! Show em how it’s done Brynn! Good luck Bella! Grandpa and Grandma Knocky love you so much! Hope you make them all!